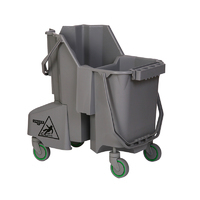 To meet the requirements of your sanitation programme, Klipspringer's KsPrism range of colour coded, food contact approved mop buckets and wringers includes socket and Kentucky designs, supported by warning signs and easy adaptor filling hose. 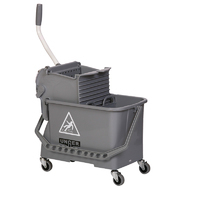 The combination 30 litre mopping system keeps clean water (15 ltr) separate from soiled water (15 ltr) . 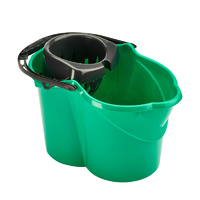 Replacement bucket for the M3635 Combo Double-Chamber Mop Bucket. 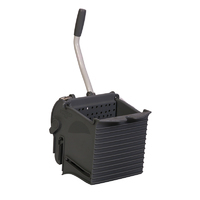 Replacement mop wringer for M3620 and M3635 Combo Mop Buckets. 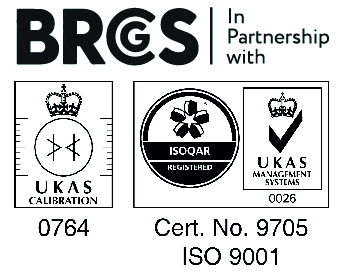 Compatible with flat and Kentucky mop heads. Hooks firmly over the bucket sides and provides useful deep storage space for accessories. 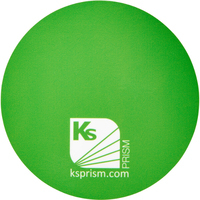 Advance your colour coding regime using these high tack coloured decals on utensils and cleaning equipment that is not available in the colour you require. Makes easy work filling from taps to buckets. 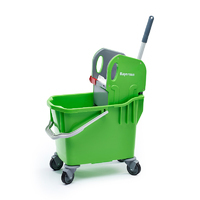 Hard wearing 25 ltr mop bucket with robust Kentucky mop wringer. Fully colour coded with caution icon on side and castor wheels. Available in 4 colours. 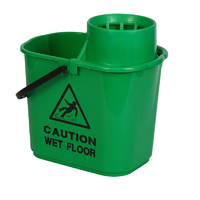 A 14 litre capacity strong mop bucket with clip on heavy duty sieve unit for expelling excess water from working mops. The sieve unit clips firmly to the bucket and is designed to stand above the liquid level in the bucket in order to maximise available water. Available in 5 colours. 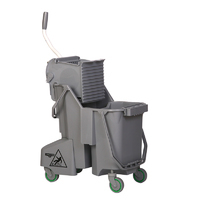 A 12 litre capacity sturdy mop bucket with clip on sieve unit for expelling excess water from socket mops. 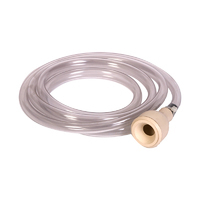 Strong stainless steel handle loop with comfort grip. Available in 4 colours. 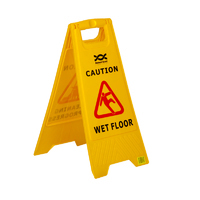 ‘A frame’ floor sign with 'Wet Floor' one side and 'Cleaning in Progress' the other side. 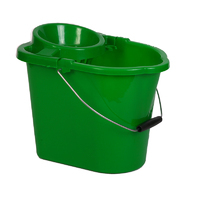 Food contact approved socket mop bucket with large 15 ltr reservoir. 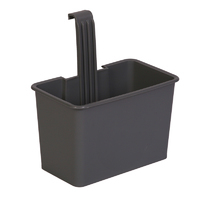 Integral mop sieve and ergonomic handle, complete with non-drip pouring spout for ease of emptying.